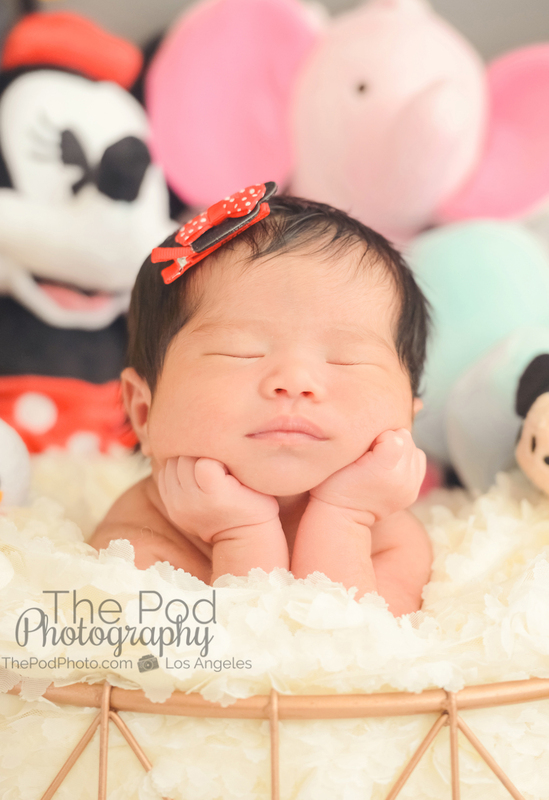 Marina Del Rey Baby Photographer | Los Angeles Studio - Los Angeles based photo studio, The Pod Photography, specializing in maternity, newborn, baby, first birthday cake smash and family pictures. 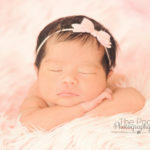 Isn’t she a doll? 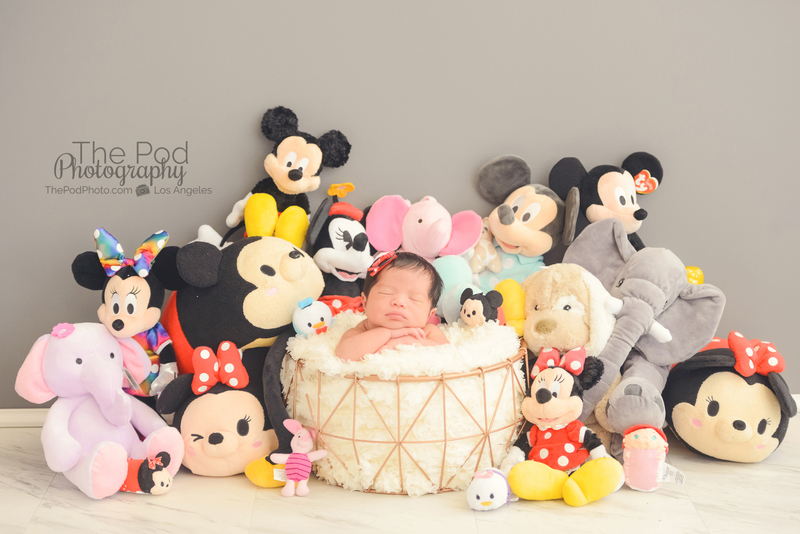 This sweet girl was just six days old when she came in for her newborn session with our Baby Photo Team at The Pod Photography. 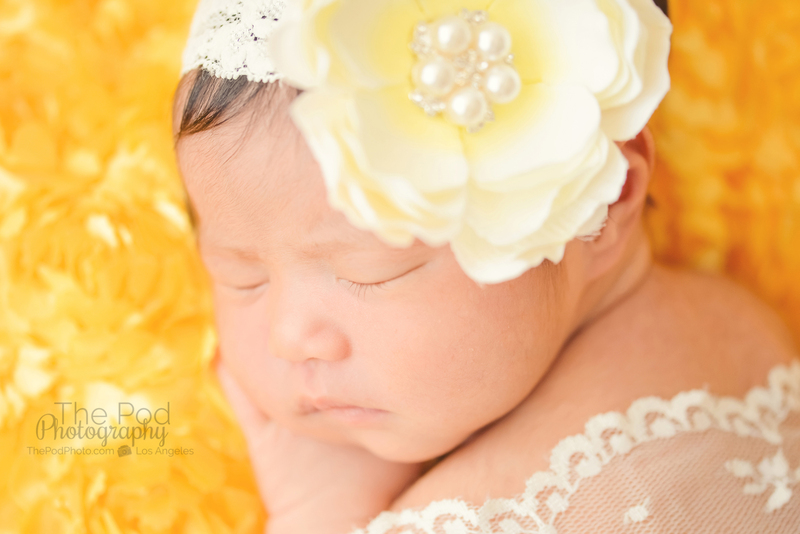 When scheduling a newborn session at our Marina Del Rey Photo Studio, with out professional baby photographer, we suggest you book a photo session for your infant between 5 and 10 days old. 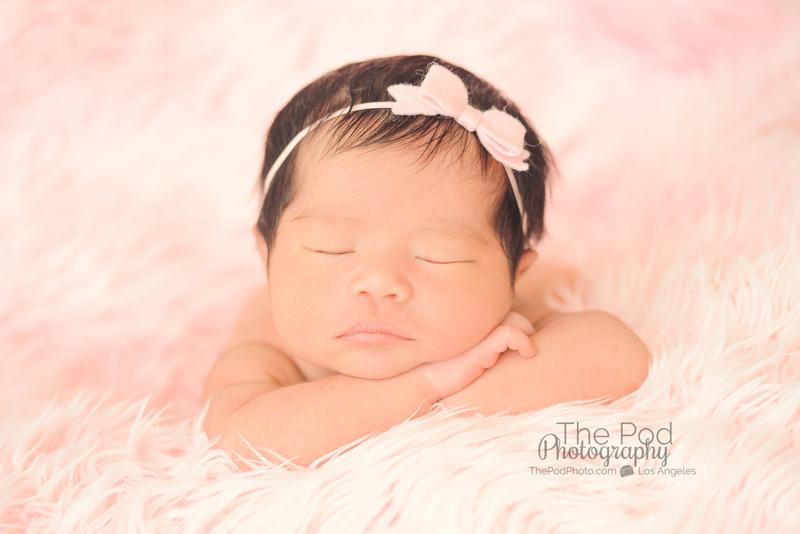 During this window of time, we can document your sweet little and all their new details you will want to remember as they begin to change and grow so quickly! 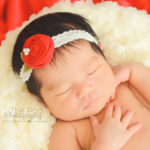 New nails that have never been cut, little pores on their little noses, and in this little girl’s case, a gorgeous head of hair are documented for Baby Irene to enjoy when she gets older. 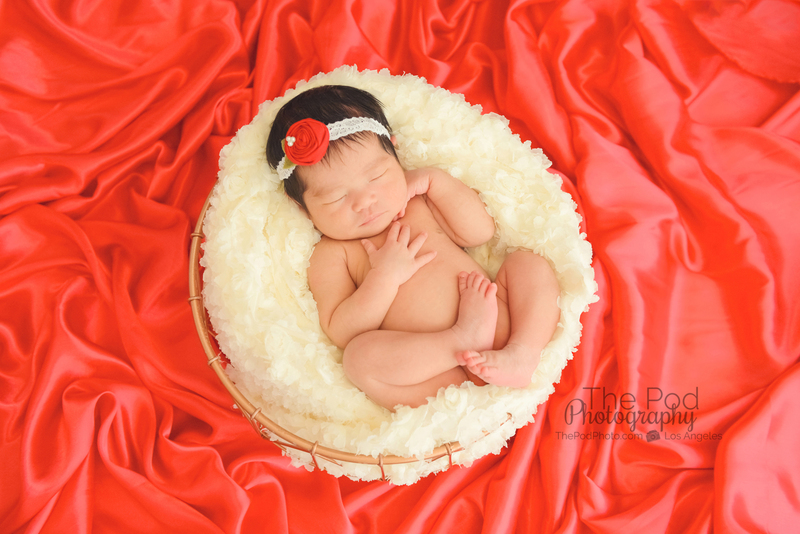 These clients wanted bold, memorable colors for Baby Irene to slumber in for her session. 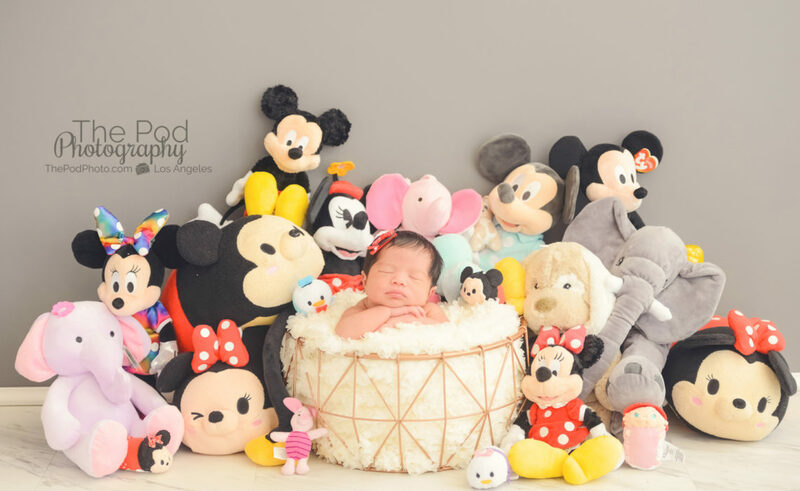 During the custom set design, Mommy was inspired to incorporate a hefty collection of stuffed animals along with bright colors for Irene’s newborn sets. 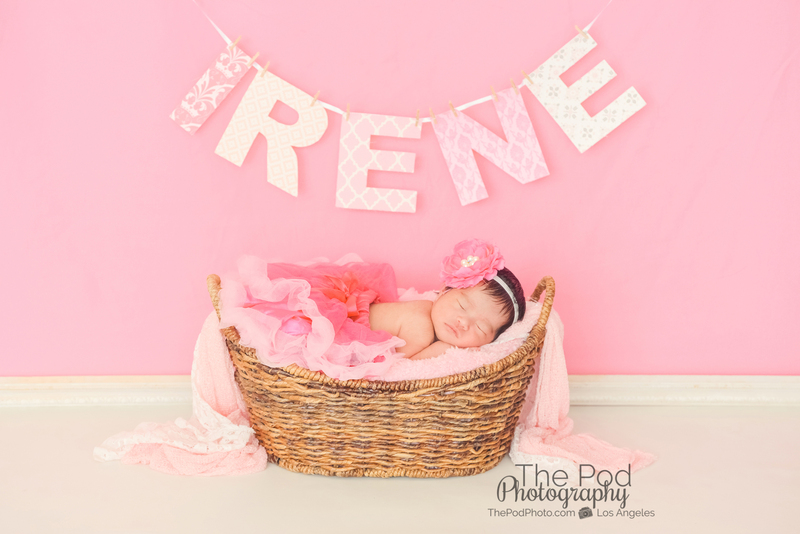 With our Marina Del Rey Studio being full-service we were able to pull vibrant fabrics and headbands that Mommy, Daddy and even Grandma were SO excited and happy to see for their newborn set design in the studio. Irene did so well with her posing on both her classic and clean sunshine yellow sets as well as her elaborate stuffed animal set. The variety incorporated makes for both beautiful wall art around your home as well as a coffee table album friends and family love to look through time and time again. 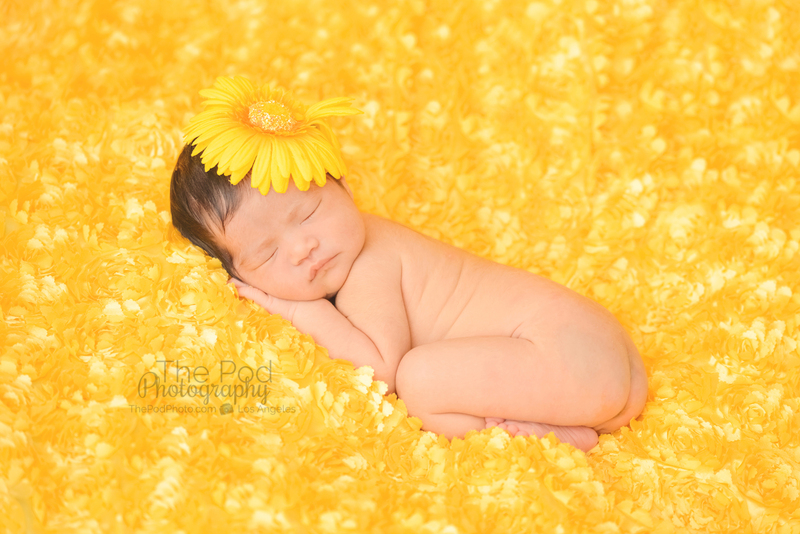 Enjoy our newborn experience video to see how it all comes together! 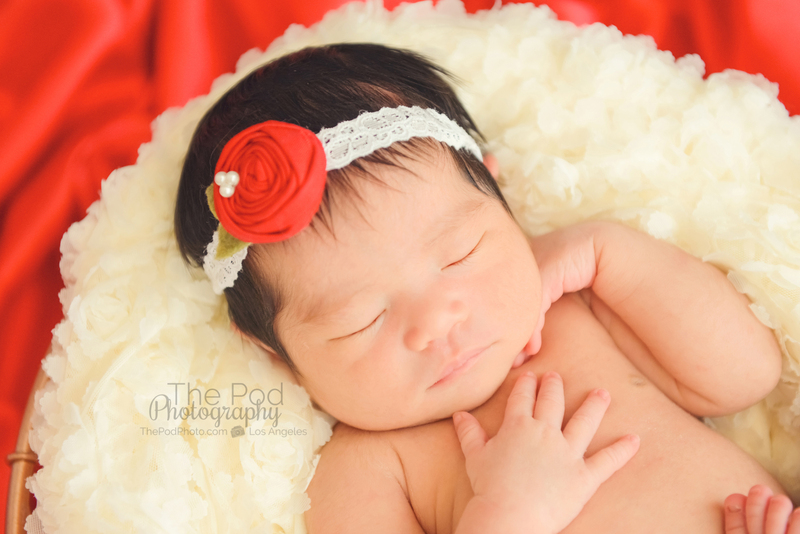 For more inspiration and daily shares, follow along with our Instagram at The Pod Photography! Also give us a call at 310-391-4500 – we’d love to give you a tour of our studio.